What’s an excursion down to experience the great Grand Canyon National Park without stopping by the Grand Canyon Visitor Center first? The main hub for Grand Canyon guests provide everything that you will need for a completely fun and enjoyable tour of the Grand Canyon. Paradise Found Tours has your complete guide on what the Grand Canyon Visitor Center has to offer. The Grand Canyon Visitor Center is also referred to as the Canyon View Center. This major landmark can be found at the South Rim, located just opposite from Mather Point. After you have witnessed the spectacular views of Mather Point, you can then head to the Visitor Center by walking the paved trail. The Visitor Center opens at 8 am and closes at 5 pm every day. So you can rest assure that you will get to explore the center during any tour you take to the Grand Canyon South Rim. The Grand Canyon Association oversees the entire operation of the Grand Canyon Visitor Center. It is a non-profit organization that is wholly dedicated to preserving the Grand Canyon’s majestic beauty, and its cultural and natural value. The association was set and established in order to welcome in Grand Canyon guests. They enjoy educating visitors about the history and other relevant topics, including the Colorado Plateau. Assistance is always available in the form of a friendly ranger stationed at the information desk. You can get maps and brochures about activities and tours within the Grand Canyon. Take a moment to enjoy the educational exhibits, publications and the available Grand Canyon National Park programs. You may browse through books, buy maps, read pamphlets and other goodies such as DVDs and CDs. Aside from their role in educating visitors of the Grand Canyon, the GCA also helps in rebuilding some integral structures such as the historical Kolb Studio. The association is also active in terms of sponsoring the Grand Canyon Field Institute in their enrichment course, some of which involve Grand Canyon archaeology, backpacking, bird watching and photography. This short, 20-minute film gives us a brief glimpse of some of the most unexplored parts of the Grand Canyon and shows the viewers why the Grand Canyon is rightfully among the Seven Natural Wonders of the World. A Journey of Wonder takes you from the wide, expansive rims to the great Colorado River and everything in between. It provides a sneak peek of what the Grand Canyon looks like at dawn and at dusk, all while telling an extraordinary story and history of how the Native American settlements are connected to the magnificent landscape in a unique way. The various themes presented show Grand Canyon highlights and information: its geology, pioneer history, cultural relevance, and the preservation efforts when it comes to the Canyon’s inhabitants, its flora and fauna. Director Joshua Colover makes use of beautiful, sweeping aerial camera views and the latest computer-generated graphics to take viewers on an unforgettable adventure. Narration is voiced by renowned author Peter Coyote. How about a different way to experience the Grand Canyon National Park? Ride the rim by renting a good old-fashioned bicycle and get closer to the canyon’s breathtaking vistas. There are options for a guided tour, or you can set off on your own, or with family. The forested greenways are traffic-free, so you can see and hear all the Grand Canyon sights and sounds without distractions. The park itself has a good number of viewpoints from which you can see and take pictures of the scenery. The bicycles that you can rent largely vary. You can select a road bike, a cruiser, or one with strollers and attachments for the little ones. Visitors will be provided with a map, safety equipment, and a host of other things (SD card for your camera, batteries and hiking gear) to complete the biking experience. You can order sandwiches and salad to go, or stop by for a local cup of coffee at the Grand Canyon Coffee and Eatery. You can certainly leave the driving to experienced shuttle drivers when you arrive at the Grand Canyon Visitor Center. 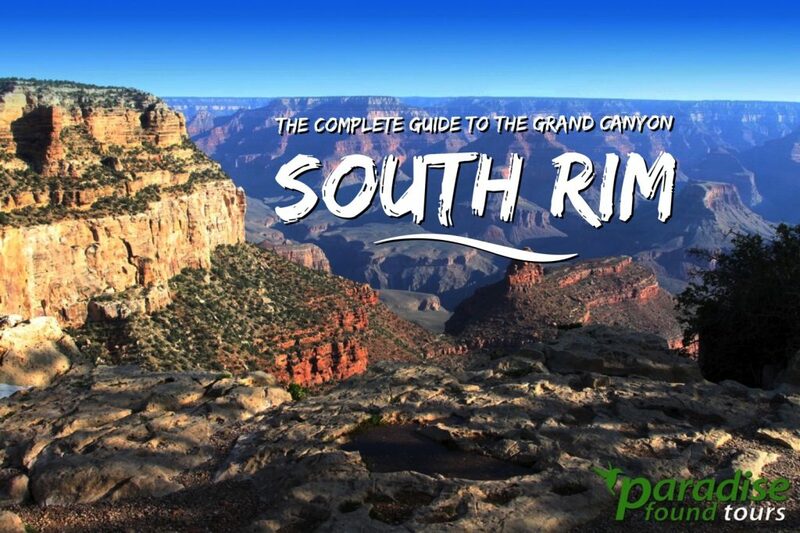 Grab a copy of “Getting Around South Rim” to see where village parking areas and shuttle bus stops are located, and where the best viewpoints are. The Canyon View Center is the hub from where free shuttles travel to and fro, ferrying guests around the villages. You can save fuel and unnecessary stress by riding the free shuttles. The bus stops are marked by map signs so you will know where to go. However, if you are on a reserved tour, you will want to avoid the shuttles. Your tour company will collect you and take you to the next stop, which is usually Bright Angel Lodge. There’s so much that you can do inside the Visitor’s Center- for instance you can take part in watching The Canyon World, which is a short film that highlights the Grand Canyon’s formation. You can look around and tinker with high-tech interactive trip planners, or you can also gander at videos that show different Grand Canyon parts, complete with relief maps. There are also some canyon items up for display at the museum. Don’t forget to stop by the gift shop and Visitor Center Book store at the Grand Canyon Visitor Center to get your souvenirs,books and postcards to send your relatives after that exhilarating Grand Canyon trip. Interested about the Park Ranger Programs? You can sign up for a quick course, or take part in their various ranger-led seasonal activities such as the Grand Canyon Geology presentation, or the Junior Ranger Discovery Pack Program, which accommodate people and kids of all ages. The Grand Canyon Visitor Center is the central springboard from where you can head off to different Grand Canyon experiences, so make it a point to drop by whenever possible! The Visitor Center is easily explored with ample time on all South Rim tours offered through Paradise Found Tours. Our Grand Canyon South Rim Guide gives you great ideas of things to do at the Grand Canyon. Looking for more information on things to do at the Grand Canyon South Rim? Take a moment and view our Grand Canyon South Rim Guide. We’ll show you what fun things are available to do. Whether it’s hiking or riding a mule, we have the information you need.